The series garnered around 1.5 million viewers during its premiere in December 15, 2011. Variety's Brian Lowry didn’t give a positive review about the series. 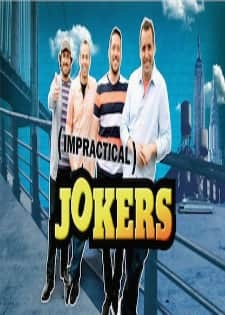 He said that "Nobody will ever confuse Impractical Jokers with high art, certainly, but as low-brow, micro-cost comedy in the context of TruTV's programming resources, it's actually quite practical—and occasionally funny." A UK version of Impractical Jokers was aired in the year 2012 during winters on the channel BBC Three. It stars comedians Joel Dommett, Paul McCaffrey, Roisin Conaty and Marek Larwood. The first series comprised of six episodes. The show was aired from November 15 - December 20. The second series comprised of six episodes. It was aired from February 24 - April 2, 2014. The producer of the series was Yalli Productions. A Dutch version of the show was broadcast on Veronica in the year 2013. It was termed as "De Fukkers". In the year 2015 a new version of the series started at RTL 5. It’s name was "Foute Vrienden". It was like the Flemish version. A French-Canadian version of the series was broadcast on V in0 February 24, 2014. The title of the series was "Les Jokers".The Swedish version of the show was broadcast on TV6 in April 2014. The title of the show was "Radiostyrd". A Spanish version was broadcast on Neox in the year 2014. The title was "Sinvergüenzas". The Egyptian version was launched on social media on June 18, 2014. The title of the show was "Al .Mohayesoon"